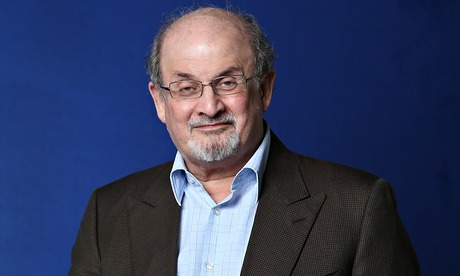 Salman Rushdie has been awarded the 2014 PEN / Pinter Prize. The PEN / Pinter Prize was established in 2009 by English PEN, in memory of Nobel-Laureate playwright Harold Pinter. The prize is awarded annually to a British writer or writer resident in Britain of outstanding literary merit, who, in the words of Harold Pinter’s Nobel Prize in Literature speech, casts an “unflinching, unswerving” gaze upon the world and shows a “fierce intellectual determination...to define the real truth of our lives and our societies’’. Salman Rushdie was chosen by this year’s judges Michael Billington, Antonia Fraser, Simon Jenkins, Kamila Shamsie and President of English PEN and Chair of Judges, Maureen Freely. Salman Rushdie said: "It's very moving to receive an award named after my friend Harold Pinter, whose literary genius was matched by his passion for social justice, and to follow in the distinguished footsteps of the previous recipients, Tony Harrison, Hanif Kureishi, David Hare, Carol Ann Duffy and Tom Stoppard. As a matter of fact, many years ago, I first met Harold and (his wife) Antonia through English PEN, and of course they, and PEN, were later active in my defence when I needed it. The work of PEN, both in promoting the best of world literature and in opposing abuses of freedom, continues to be vitally important, and I'm proud to have been a part of that effort in England as well as the United States." The prize will be presented at a public event at the British Library on Thursday 9 October, at which Salman Rushdie will deliver an address. He will share the prize with an International Writer of Courage selected by him in association with English PEN’s Writers at Risk Committee. The recipient will be a writer who has been intimidated for speaking out about their beliefs or imprisoned for exercising their right to freedom of expression. The co-winner will be announced at the prize-giving ceremony, and he or she will accept his or her prize alongside Salman Rushdie.